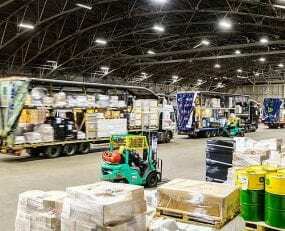 Palletways has announced the opening of a new regional hub in Verona, northern Italy, to handle domestic and general cargo offering opportunities to customers of Palletways UK. The opening of the Verona hub is the fourth hub to open in Italy. Over the last 11 years Palletways has opened hubs in Bologna, Milan and Avellino. This hub will handle domestic cargo and also has the potential to accelerate general cargo traffic to consignors in northern Italy, therefore providing faster routing and better value to customers in the UK. Located in the centre of the Veneto region, the hub is based between the A4 in Turin Trieste and the A22 in Brennero Modena. This hub will offer opportunities to Palletways UK, with at least 30 Palletways Italia members situated in the Veneto region. Members will no longer have to travel to Bologna for collections or deliveries, reducing costs and travel time. The Verona region is also seen as a gateway for access to Austria and Germany. The new regional hub will be supported by Palletways’ IT platform and customer service operation, enabling real time visibility of all consignments throughout their journey.